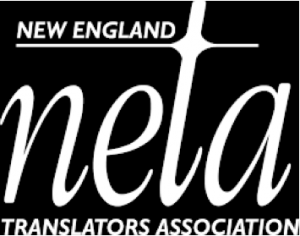 The New England Translators Association invites all translators, interpreters, and language lovers to its 19th annual Conference and Exhibition. This year’s conference will be especially festive as NETA celebrates its 40th anniversary. A special luncheon is planned to mark the occasion, and a table in the exhibit area will showcase books translated by NETA members over the past four decades. The conference finale will consist of a panel discussion on “NETA’s Forty Years: Perspectives on our Profession,” with long-time NETA members Alice Berglund, Rudy Heller, Joan Sax, Frank Geoffrion, and moderator Ken Kronenberg. NETA is honored to have Arthur Goldhammer as our keynote speaker. He is the translator of Thomas Piketty’s acclaimed Capital in the Twenty-First Century (2014), as well as 125 other books in history, fiction, philosophy, social sciences, and economics over a career spanning four decades. We have many other outstanding presentations lined up, including Maya Hess, founder of Red T, which advocates on behalf of interpreters in conflict zones; Jerome Henry Rudes, who will discuss film subtitling and offer a workshop; Maria Karra of the International Association of Professional Translators and Interpreters, who will give a global perspective on the crisis in translation; plus many other presentations such as working effectively with agencies, interpreting clearly in English, and our perennial “Getting Started” panel for new T&I professionals, among other intriguing sessions.